There are 7 accredited ultrasound technician schools in Wisconsin. Between them, these schools and colleges can provide a full range of sonographer courses including diagnostic medical sonography certificates, associate’s degrees and bachelor’s degree programs. A certificate in diagnostic medical sonography is an increasingly popular choice offered by ultrasound training schools. A large percentage of applicants for this type of course are medical personnel with existing healthcare expertise – for example, physicians and nursing assistants. Some ultrasound technician schools in Wisconsin have an entry requirement that applicants must already hold some form of medical degree or certification. There are equally a number of ultrasound technician schools in Wisconsin which will allow candidates lacking healthcare degrees to enroll on certificate courses by taking their existing education experience into consideration. Certificate programs from ultrasound technician schools in Wisconsin are delivered over a duration which can range between 12 to 24 months. The exact length of a course will typically depend on the teaching establishment, combined with the applicants’ prior level of healthcare sector experience and qualifications. The training content of a diagnostic medical sonography certificate is split into a series of classroom and practical modules. Theory class modules used by most ultrasound technician schools in Wisconsin include: sonography physics, human anatomy, physiology of major internal body organs, pathology, ultrasound imaging and use of ultrasound machinery and equipment. Practical classes take place with actual patients under supervision in a hospital or medical center. The objective of practical training is to get students familiar with using newly learned sonographer skills in a real life environment, effectively translating theoretical knowledge into practice. It’s common practice for most ultrasound technician schools in Wisconsin to arrange vocational placements for students as part of the certificate program. You have a reasonable educational background and feel you would like to become an ultrasound technician. Aurora St Luke’s Medical Center – Milwaukee. 180 West Grange Avenue, Milwaukee, WI 53207. Serving the Eastern Wisconsin region, Aurora Healthcare is a not-for-profit care provider which includes Aurora St. Luke’s Medical Center. Aurora St. Luke’s Medical Center has a 19 month full time sonography program (one of the shortest offered by ultrasound technician schools in Wisconsin) which is hospital based. Columbia St. Mary’s – Milwaukee. 4425 North Port Washington Road, Glendale, WI 53212. Columbia St. Mary’s is a healthcare organization which includes three hospitals and 65 community clinics. As one of the progressive ultrasound technician schools in Wisconsin, Columbia St. Mary’s Diagnostic Medical Sonography School delivers a 20-month program with specializations in obstetrics, gynecology, abdominal and vascular technology. University of Wisconsin Hospitals & Clinics – Madison. 2870 University Ave, Madison, WI 53705. UW Health is a group representing the academic healthcare side of the University of Wisconsin. 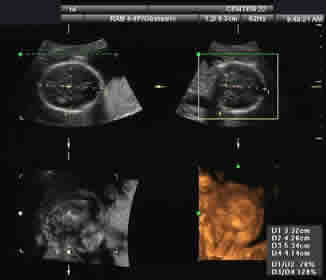 UW Health offers a 24-month general diagnostic medical sonography course with clinical specializations in abdominal, obstetric, gynecological and vascular tech. Also offering a bachelor’s degree, the University of Wisconsin is a popular choice among ultrasound technician schools in Wisconsin. Wheaton Franciscan Healthcare – Milwaukee. 3237 South 16th Street, Milwaukee, WI 53215. Covering the Southeastern area, Wheaton Franciscan Healthcare is a non-profit organization which has been around for over a hundred years. Based at the St Francis Hospital, a 20 month general sonography certificate program is available. Wheaton’s sonography school is one of the longest established ultrasound technician schools in Wisconsin. Associates degrees are a type of undergraduate academic degree, more formally known as an associate in applied science degree (or AAS degree). In terms of duration, associate’s degrees are awarded upon completion of a study course usually lasting two years and are a really popular way to become a qualified sonographer or ultrasound technician for students lacking prior healthcare qualifications. As with certificates, associate’s degree course content is divided into classroom and clinical experience. Ultrasound technician schools in Wisconsin have core classroom modules including: medical terminology, technical math, general physics, general anatomy & physiology, abdominal Sonography, OB/GYN, cross sectional anatomy, sonography physics, vascular imaging, psychology and sociology. 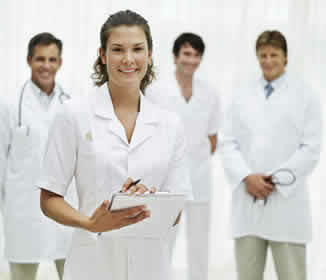 A substantial part of an associate’s degree is spent carrying out clinical experience, usually at a local teaching hospital. Currently a high-school student looking to embark on a professional career as an ultrasound technician. Associate’s sonographer courses are delivered by 3 CAAHEP approved ultrasound technician schools in Wisconsin. These three accredited colleges are situated in the areas of Janesville, Eau Claire and Green Bay. Blackhawk Technical College – Janesville. 6004 Prairie Road, Janesville, WI 53547. Blackhawk Technical College (or BTC) was established in 1968, and is located approximately midway between the cities of Beloit and Janesville. BTC offers education for over 50 types of degree and certificate courses, serving in excess of 14,000 students every year. Blackhawk Technical College is the first of three ultrasound technician schools in Wisconsin offering CAAHEP accredited associates degrees. Chippewa Valley Technical College – Eau Claire. 620 West Clairemont Avenue, Eau Claire, WI 54701. Formed over 100 years ago, Chippewa Valley Technical College delivers training for more than 55 degree and vocational programs. Chippewa Valley Technical College has one of the oldest established ultrasound technician schools in Wisconsin, and is a consistently popular choice for students. Northeast Wisconsin Technical College – Green Bay. 2740 West Mason Street, Green Bay, WI 54307. Bachelor of science degrees (also known as bachelor’s degrees) in sonography generally last for four years of full-time study. Bachelor’s programs involve far more practical clinical experience than other types of ultrasound technician training courses. As they take longer to complete than certificate or associate’s courses, bachelor’s degree programs from ultrasound technician schools in Wisconsin tend to be preferred by those serious about a career in diagnostic medical sonography – especially students aiming for jobs in ultrasound research or sonographer management positions. Because it is one of the highest forms of ultrasound qualifications, those students who attain bachelor’s degrees are usually better qualified for more senior ultrasonography positions. University of Wisconsin – Madison. 2870 University Avenue, Madison, WI 53705. The University of Wisconsin Madison is the only type of ultrasound technician schools in Wisconsin to offer both bachelors degree and certificate sonographer programs with CAAHEP accreditation. With all three types of sonographer programs available, you have plenty of excellent ultrasound technician schools in Wisconsin to look at.